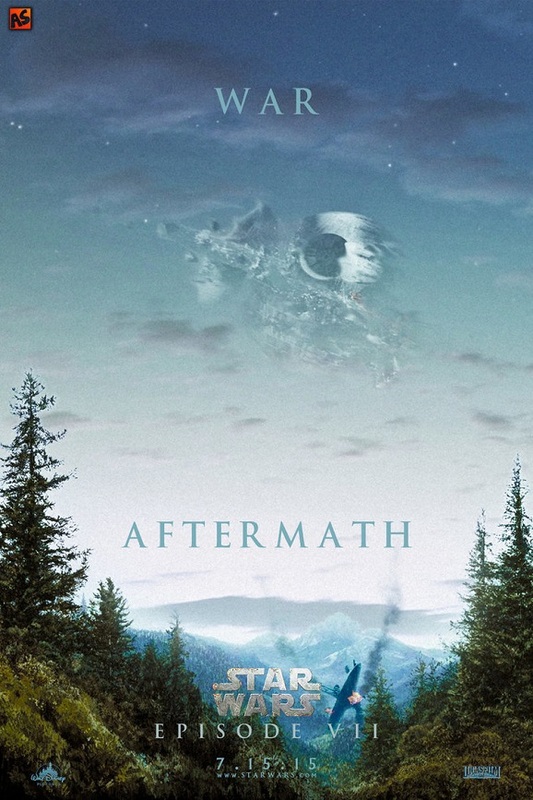 Okay, so the release date at the bottom of the posters should clue you guys in to the fact that these posters were created during a time when we thought Disney and Abrams would adhere to the “every Star Wars movie gets released in May” rule of George Lucas’ thumb. So yeah, maybe they’re dated, but they’re no less amazing. Also, it’s not as if we know SO MUCH about the updated universe that these images are illogical in any way. It’s just a great action-centric throwback to the original trilogy, inspiring hopes that Abrams will make a film that’s even a fraction that beautiful. Considering most of his films feature more visual pleasures than storytelling ones, this hope may not be all that misplaced. 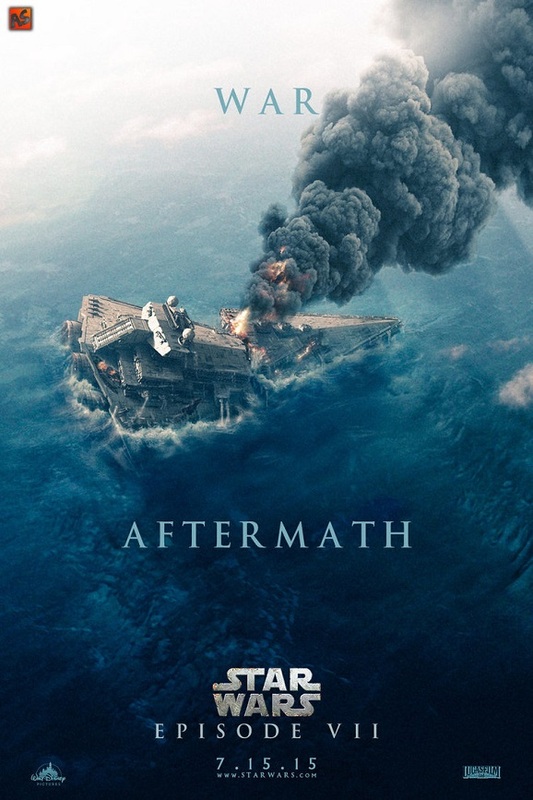 In the poster above, as well as those below, AndrewSS7 presents iconic locations and vehicles, such as the smoking Millennium Falcon and the destroyed Star Destroyer. There’s just something so majestic about all this destruction. No self-respecting Star Wars fanboy artist could possibly create this kind of stuff without referencing the demolished Death Star. Am I the only one who wouldn’t have a problem with Endor being burnt to a crisp? 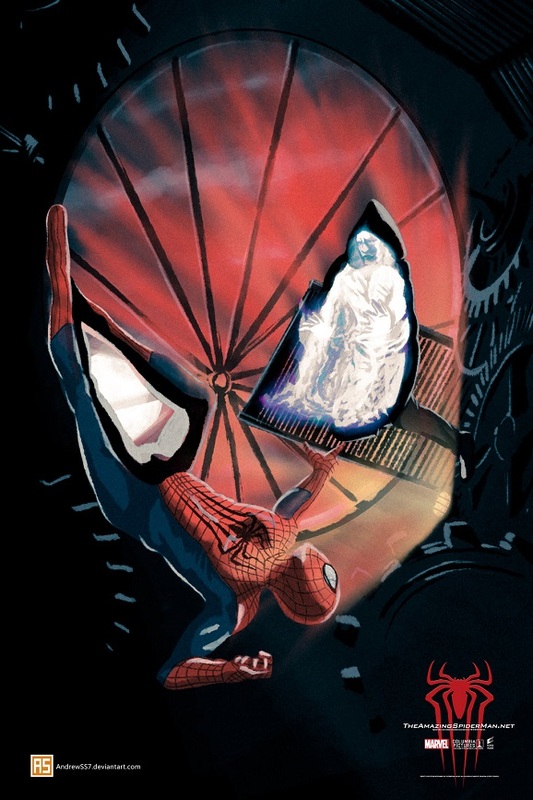 To give you more insight into AndrewSS7’s creative styles, check out this truly awesome Amazing Spider-Man 2 poster, which is far better than anything officially promoting the film. 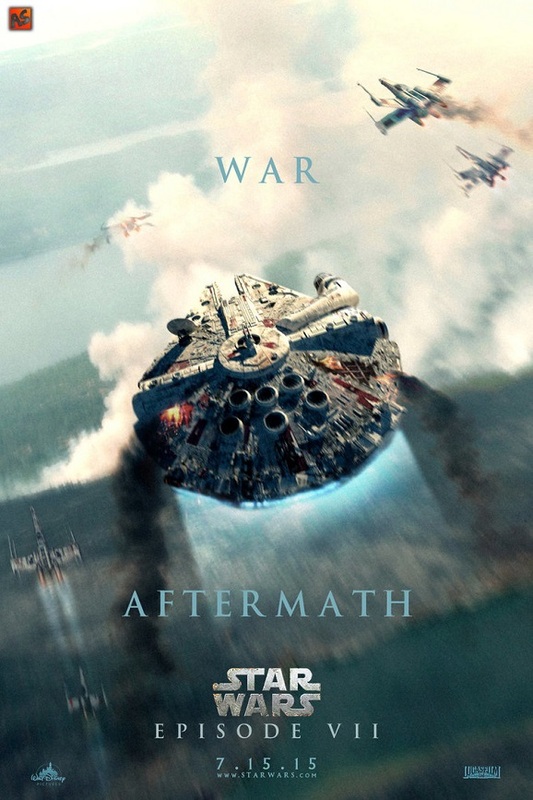 Star Wars: Episode VII is set to take audiences to far, far away galaxies with heroes and villains old and new on December 18, 2015. Uh YES, I would have a BIG problem with blowing up Endor. Don’t make me get my dianoga! I think this article was written by AndrewSS7. The Star Wars posters are cool, but seriously the Spider-Man 2 poster is amateurish. More bevel and emboss anyone?